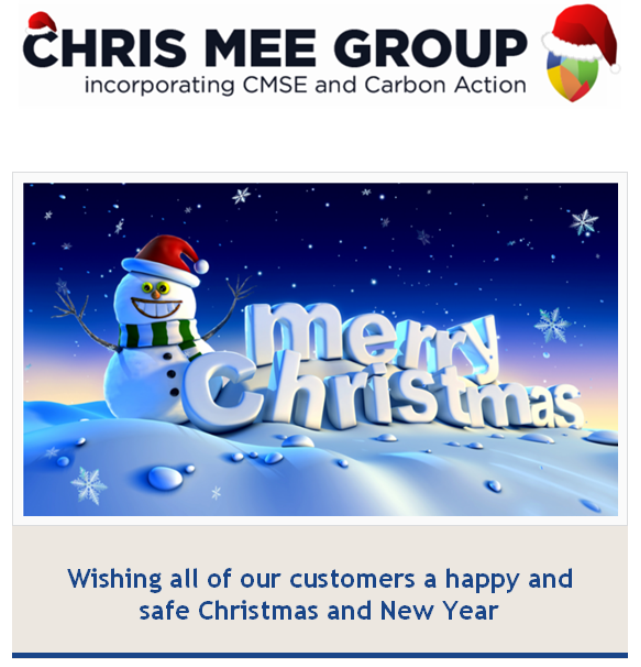 We would like to wish all of our customers a wonderful Christmas and a safe and happy New Year. While we look back on 2013 as a successful and eventful year, we look forward to 2014 with anticipation and excitement. Continued Expansion – We took on a number of new staff over the year, across all divisions within the company (CMSE Training, CMSE Recruitment, CMSE Consultancy, Carbon Action). Launch of eLearning website – We launched our eLearning website, with a range of online training courses. In The Press – Chris Mee was featured in the Sunday Business Post, interviewed about his thoughts on challenges that businesses face in the current climate. Canadian Ambassador Visit – We welcomed a visit by Canadian Ambassador Loyola Hearn and Senior Canadian Trade Commissioner Suzanne Cormie to our Little Island head office early in the year. Donation of Ambulance – The Chris Mee Group teamed up with Novartis Ringaskiddy to donate an ambulance to Plan Ireland charity, which was then shipped to Niger in Africa to serve the needs of the people of Zinder; Nigers second largest city. LIBA Awards – Chris was awarded “Business Person Of The Year” at the Little Island Business Association Awards, held in the Radisson Hotel in November. 2014 promises to be a challenging year, but with the continued support of all of our invaluable customers, we hope to make it a year to remember.